Your immune system is your body’s natural defense against bacteria and viruses. Although it works effectively most of the time, sometimes our immune system fails, and we become sick. The best way to avoid getting sick is to build up a strong immune system with proper nutrition and managing a healthy lifestyle. Read on to see the top 10 Tips to keep your system in shape during the winter! Garlic: Garlic contains sulphur-containing compounds called allicin that helps increase white blood cells and antibody production to fight off viruses and bacteria. Fresh is best, so load up on your garlic! 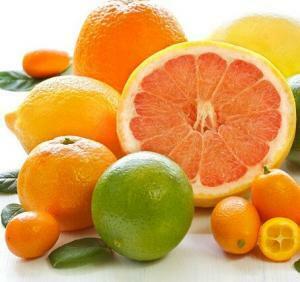 Fruits: Oranges are commonly known to be loaded in vitamin C, which plays an important role in fighting foreign invaders like pathogens and viruses. Although, we must not forget about other fruit that are also rich in this vitamin: strawberries, grapefruit, kiwi, lemons, limes, blueberries, blackberries, and cranberries. Green Tea: Green tea contains plant antioxidants called polyphenols which contain immune boosting properties. Polyphenols are believed to destroy and reduce the impact of the flu virus. Drink green tea without any added sugars or cream as dairy can inhibit the absorption of polyphenols and sugar may cause inflammation. Turmeric: Turmeric’s active component is curcumin, which has anti-viral, anti-fungal, and anti-inflammatory properties. Inflammation is one of the root causes to diseases and infections; therefore, reducing your risk of inflammation can decrease your prevalence of getting the cold and flu. Combine turmeric with black pepper to significantly increase your body’s absorption of this amazing immune boosting food! Mushrooms: Mushrooms contain an abundance of immune boosting qualities. They contain anti-viral, anti-bacterial properties and contain helpful minerals like selenium and zinc, and antioxidants that help support your immune system and prevent you from getting sick. Specialty mushrooms not found in the produce section can also be taken as a supplement to boost your immune system. Chaga, cordyceps, reishi and/or lion’s mane can be found in form of a capsule, powder, tincture, or even steeped into tea. Bone Broth: Like mom always said, chicken soup is the best to heal the cold or flu. Why does a bowl of homemade soup make you feel so good? The base of the soup is usually made with homemade bone broth which contains anti-inflammatory properties. Bone broth also contains proteins glycine and proline that are known to nourish your gut lining. Vitamin D: The best way to get your vitamin D is to get it from the sun, although it can be difficult during winter months and you will most likely need to supplement. The best absorbed supplemental vitamin D is found in cod liver oil or an oil-based D3 supplement. Aim for at least 3000IU or more per day. Vitamin D can also be found in egg yolks, fatty fish (salmon, mackerel), organ meats and some mushrooms. Fermented foods: Fermented foods contain probiotics (healthy bacteria) to help balance your gut flora where most of your immune system is housed. Your immune system thrives off good bacteria to keep it healthy and running optimally. Some strains of probiotics may help boost immune responses and decrease inflammation which in turn could mean fewer colds and flu! Great sources of fermented and probiotic rich foods are sauerkraut, kimchi, kombucha, kefir (look for plain, unsweetened varieties), miso, tempeh, and sourdough. Kaslo Sourdough pasta has been fermented naturally with their exquisite European traditional sourdough culture. Through this fermentation process, the gluten chains break down, allowing for easier digestion of their pastas. Many of those who have been unable to consume conventional pasta for years rejoice when they learn about the benefits of sourdough and fermentation. This pasta they can eat, and maybe you can too! Avoid Processed Foods and Sugar Laden Foods: Processed foods and sugars promote inflammation and disrupts your healthy gut flora. While your body is fighting to work extra hard to expel these foods, viruses and pathogens can settle in comfortably. This can result in getting the cold or flu, therefore, it’s important to minimize overconsumption of sweets and processed foods. And Last But Not Least: Lifestyle: This is a big one, and there are lots of ways to manage your lifestyle. As healthy as our diets may be, it’s important to look at our daily habits as well. Sleep, stress, exercise and nutrition all play an important role in how our immune systems function. Reduce Stress. Stress plays a major role in your immune system. When you are stressed, your body’s ability to fight off infections is reduced. Stress hormones like cortisol and corticosterone can suppress the function of the immune system which prevents lymphocytes (white blood cells) from fighting off bacteria and viruses. Some ways to reduce stress include yoga, reading, mindfulness sessions or anything that helps you calm your mind. Exercise. 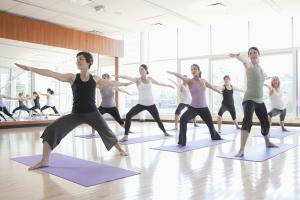 Intense exercise can compromise your immune system especially if it’s consistent. Your body needs to rest and recover after it has been through an intense workout. Without rest and recovery, your body is working overtime and is more likely to become compromised to bacteria and viruses. Get good sleep. Getting adequate sleep is a major factor in having a good functioning immune system. Turn off electronics an hour before bed, prepare meals and duties the night before so there is more time in the morning, and manage your time effectively (avoid time wasters like watching TV and scrolling social media). Manage exposure. Avoid contact with sick people, as simple as it may sound, germs hide everywhere, and it may not be as easy as it seems. If you spent a lot of time in public places or other areas where you’re exposure to germs is high, wash your hands often, and wipe down your phone; most of us touch our phones up to 100x per day. Wash your hands before you eat or touch your face, and tuck your head into your elbow when you cough or sneeze to catch germs you might otherwise be sharing. Our immune systems are complex and very powerful and works hard protecting us from infections and disease, so give it immune system the support it needs by following our tips!